This is a reminder to get your payment for the AZ Elite Spring Classic in by April 30. For those teams that have already submitted payment, thank you. We look forward to seeing all of you in the Valley of the Sun in 4 weeks! Hello Arizona Elite Spring Classic Teams! Thank you for registering for our tournament. We're looking forward to welcoming you to Phoenix! If your team is in need of hotel rooms, there are a handful of hotels offering low rates. Just follow this link:AZ Elite Spring Classic Hotels. Arizona Elite Girls Basketball Club, Inc. Welcome to the 22nd annual NCAA CERTIFIED Spring Classic. Games will start all three days at 8:00AM. 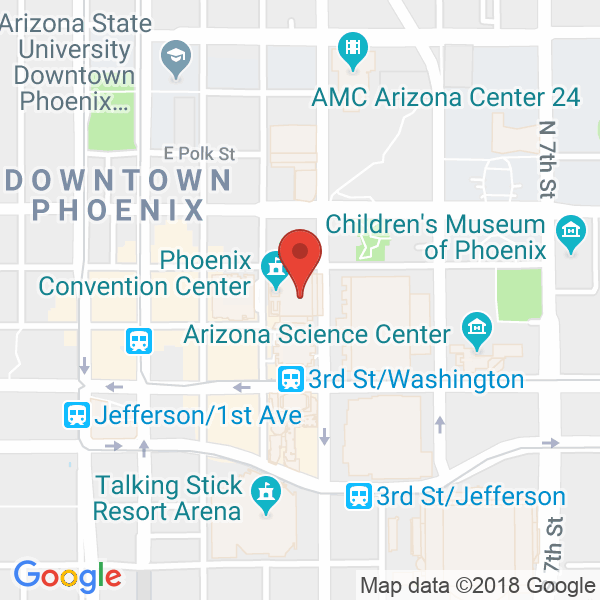 Event location is the Phoenix Convention Center South Hall. Mandatory coaches-only check-in Thursday from 4:00PM - 8:00PM at location TBD shortly. All games held at the Phoenix Convention Center. College and High School referees. Large on-site food court and 150+ restaurants within walking distance. 200+ colleges in attendance in 2018. Link to general information for Coaches. Link to Athlete Registration Basic Info. There are no tournament passes available. PARKING: East garage is $12/day (no re-entry) or metered street parking. All event related questions should be directed to Gary Pedersen at gary@arizonaelite.net or call 480-332-9848.